Bellew Vs Wilder – A step too far for ‘The Bomber’? 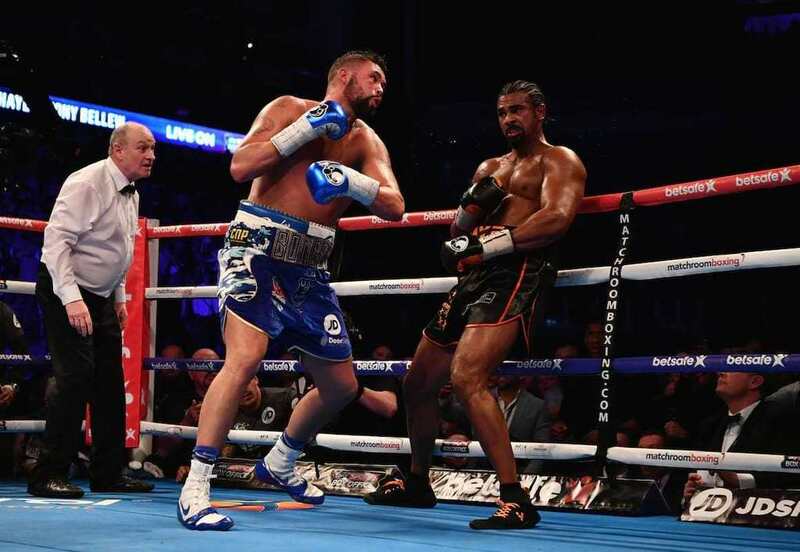 Riding the crest of a wave of euphoria after stopping a crocked David Haye in the 11th round of their fight, Tony Bellew spent the 10 minutes after the fight confusingly dampening down and then re-lighting the fire of a possible rematch with Haye. Haye was practically begging like Oliver Twist pleading for some more slop at the feet of Bellew and I’m sure Tony enjoyed it immensely. In the minutes after this, ‘The Bomber’ spoke of retirement, other fights, the rematch and about 20 other options on the table for him now proving there was no plan for him if he won. Giddy with all the options of potential fights he may have made a mistake with his next move. The next route he ventured down wasn’t as surprising as I’d first thought, calling out the granite fisted WBC Heavyweight Champion Deontay Wilder. Upon initially hearing the words leave his mouth I nearly gasped in surprise, but after careful consideration, it might be a good bit of business for TB. Bellew makes no mistake in assuring everyone that he’s all about securing enough money for his family to lead a comfortable life for the foreseeable future. Money is his primary motivator, health second and victory is a distant third. What can we expect for each of these three points should he fight Deontay Wilder? You would expect a Heavyweight World Title fight would sell itself but this one would be a more difficult sell than a rematch with Haye. While well known to boxing aficionados, Wilder, doesn’t have quite the same selling power in the UK and the same would go for Bellew in the US. By no stretch am I suggesting that they wouldn’t both make millions, but the Haye fight would probably be more lucrative financially for The Bomber. He made a reported £2,800,000 for the last fight, being the underdog. He could look at doubling that figure for a rematch with Haye being the holder of the cards. A fight against Wilder would probably net him the same as before, around £3m. This is the main sticking point in this matchup. Wilder, whilst an unorthodox fighter, carries power we haven’t seen much in the heavyweight ranks outside of Anthony Joshua and Luis Ortiz. As much as Anthony Joshua is blowing people out of the ring in the UK scene, Wilder’s record speaks for itself. He’s amassed 38 wins in 38 fights with 37 of those fights being won by knockout. He’s only faced 110 out of the 456 rounds he’s been scheduled for and averages a knockout mid-way through the 3rd round. When compared to Tony’s stats of 32 fights, 29 wins with only 19 via knockout and 2 losses. He’s faced 211 rounds out of a possible 294 and it’s not even worth looking at his average knockout round being so infrequent. There is no doubt Bellew is durable and thinks he can take a punch after the Haye fight, however he should probably consider that Hayes biggest weapons of speed and power were noticeably lacking on the night. Haye’s no spring chicken at 36, his shoulder was held together with 6 pins, he was out of the sport for nearly 3 years and it’s fairly obvious now the pre-fight rumour of Achilles issues turned out to be true. Wilder, on the other hand, is like that fighter that everyone pretends to not take seriously because he’s a dangerous prospect. With his fearsome sledgehammers like punches and his imposing figure, it’s certain that Bellew won’t get out of this fight without taking some serious punishment. It’s probably fair to assume this fight wouldn’t end in a knockout in Bellew’s favour, so it’s either ended on points at the end of 12 gruelling punishment filled rounds for Bellew or a knockout in Wilder’s favour. The only conceivable way of Bellew even considering winning this fight is to employ similar tactics as he did against Haye. The early rounds Bellew stayed at a distance, annoying Haye until he was puffed out and that’s exactly the tactic Wilder finds so hard to fight against. Wilder has a strange fighting style, much like a street fighter, he throws punches from his hips when it’s not going his way and gets frustrated. Bellew must then come inside, take some punishment and try to land a few clean shots each round to score some points. No doubt the match-up will be in the US being that Wilder is the champ so winning on points will be hard with judges usually favouring the local fighter. To summarise, Bellew has a chance, a slim chance, but a chance all the same. If he manages to unsettle Wilder long enough to make him tire he may well have a chance to win on points. If he gets caught on the chin though, it’s game over and goodnight.